So many highlights from our vacation but I am going to hold off on some of my favorites until I am able to work through my images and develop more back story to go with them. 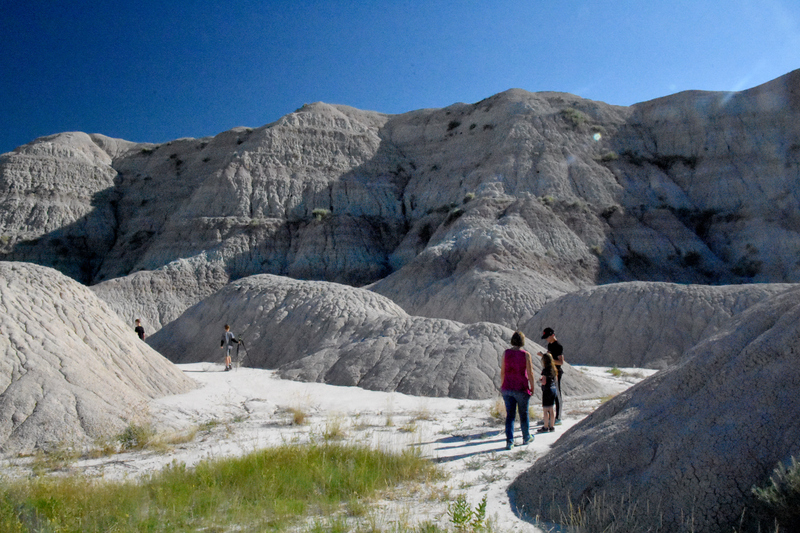 Instead, I will start with a short stop we made at Badlands National Park in South Dakota. We were there all of three hours but managed to see quite a bit during that time. The Badlands are nice but once you have traveled in Utah and Wyoming you quickly realize that the cool eroded hills of the Badlands aren’t particularly unique. 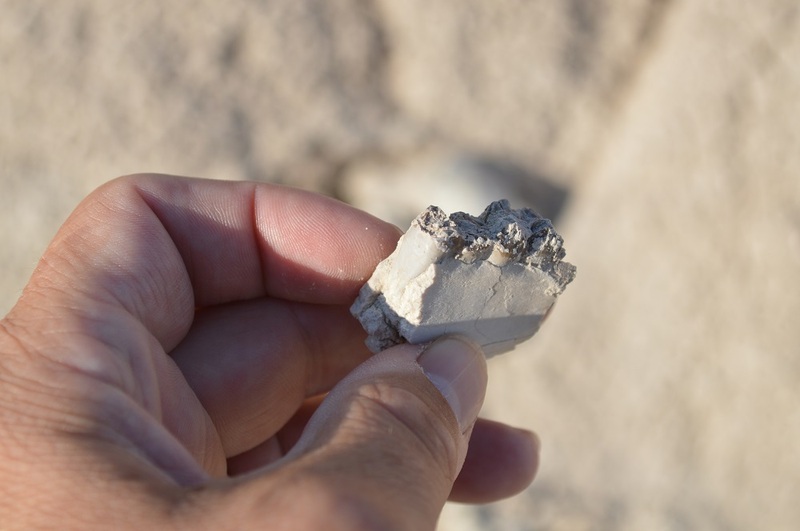 What is interesting about the Badlands is that much of the sedimentary rock there is quite young and some layers contains large numbers of mammalian fossils. 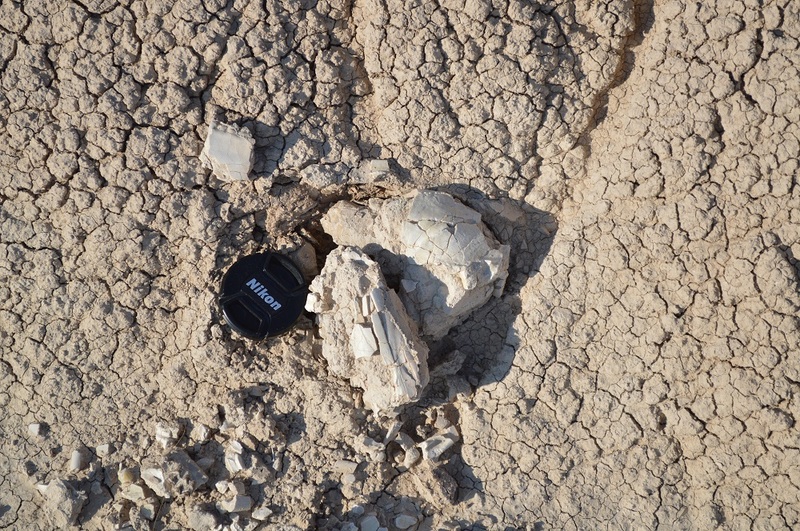 Many of these fossils are found below thick ash layers in late Eocene-aged sediments (34 to 39 million years). 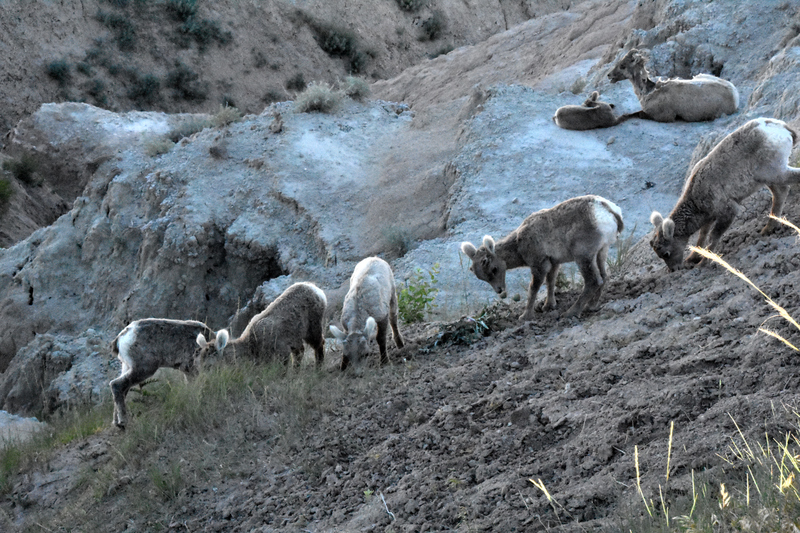 These grey layers are exposed through much of the park and easily accessible. 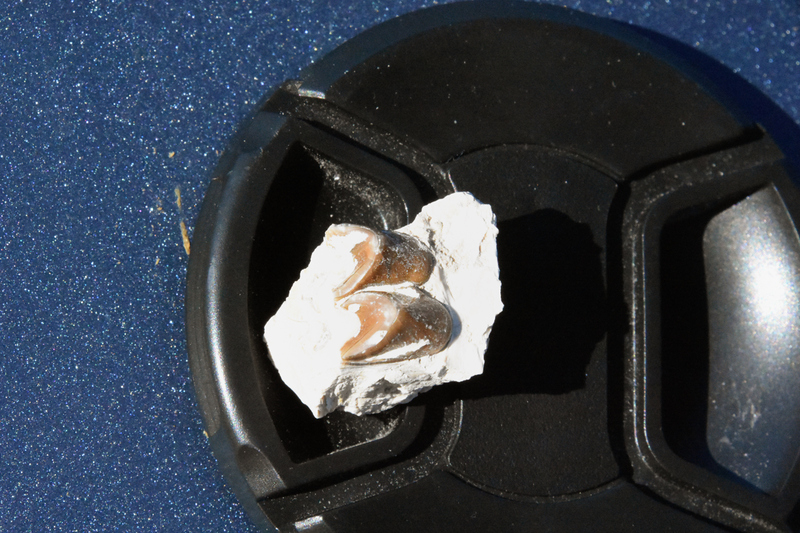 Three years ago on a quick trip through the areas I found an eroded skull and multiple teeth in just 20 minutes of hunting. 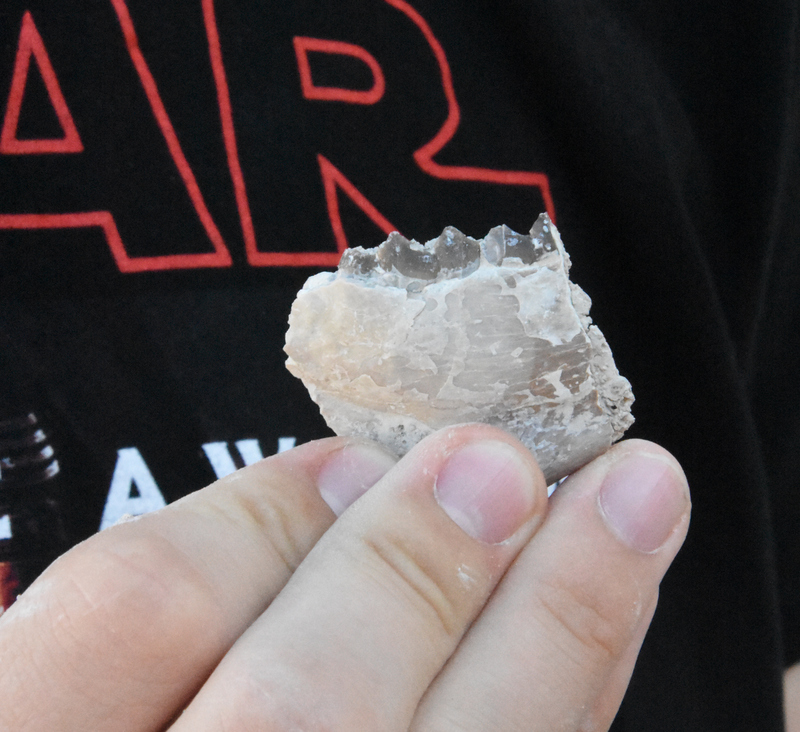 I took my kids back to the same area of the park where they were able to locate several pieces of jawbones with teeth and many pieces of bone. We did not collect these since this is a National Park but it was a nice start to our vacation which would include many other fossils-collecting sites. 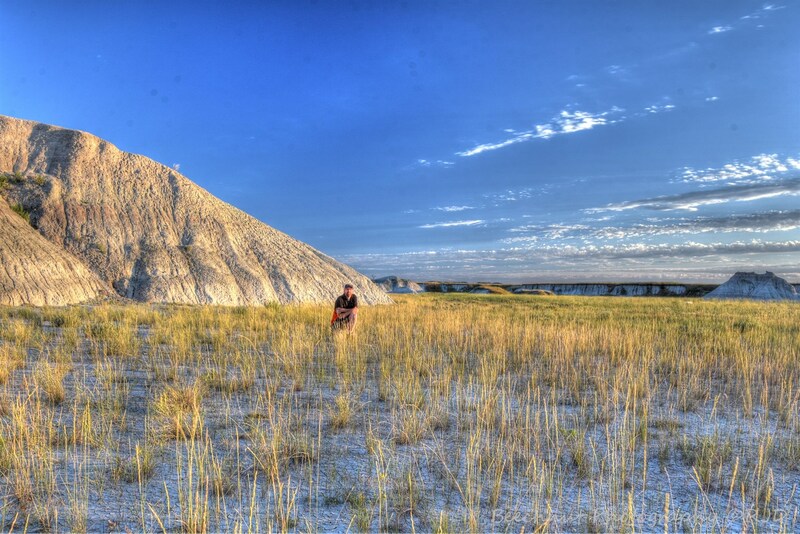 Below are some photos of the badlands area including our fossil discoveries. A piece of bone protruding from the hillside. 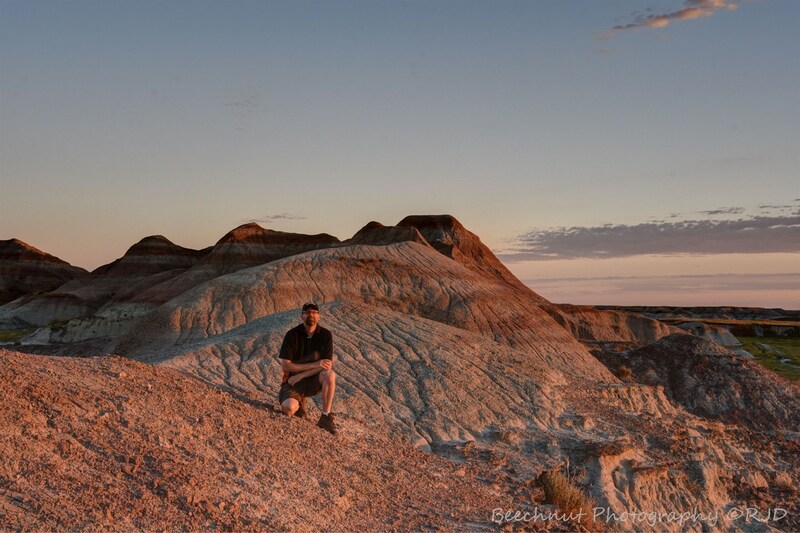 I took this picture of myself just after sunrise at Badlands National Park in 2013. 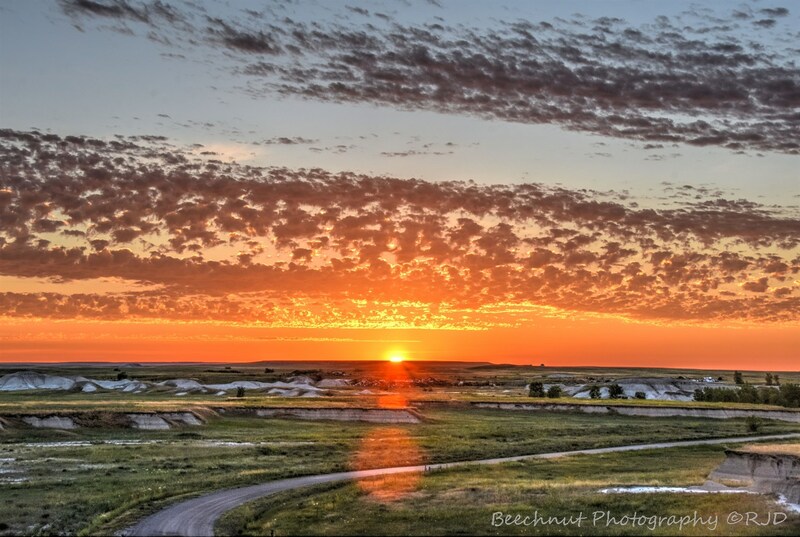 Sunrise just east of Wall, South Dakota at a small outcrop of “badlands.” Photo: Joel Duff via tripod. 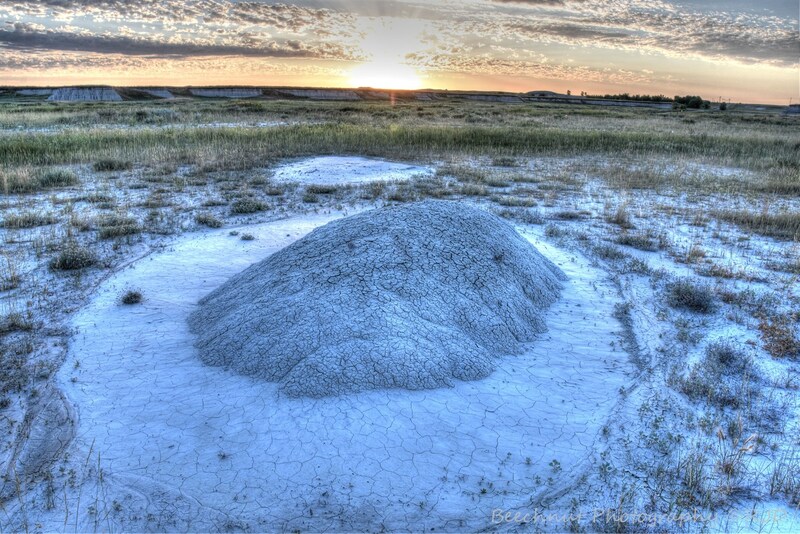 Just after sunrise east of Wall, South Dakota on a small outcrop of “badlands.” Photo: Joel Duff via tripod. Sunrise just east of Wall, South Dakota. Photo (HDR – 7 exposures): Joel Duff, June 2016. Sunrise near Wall, South Dakota, over a nearly completely eroded hill. 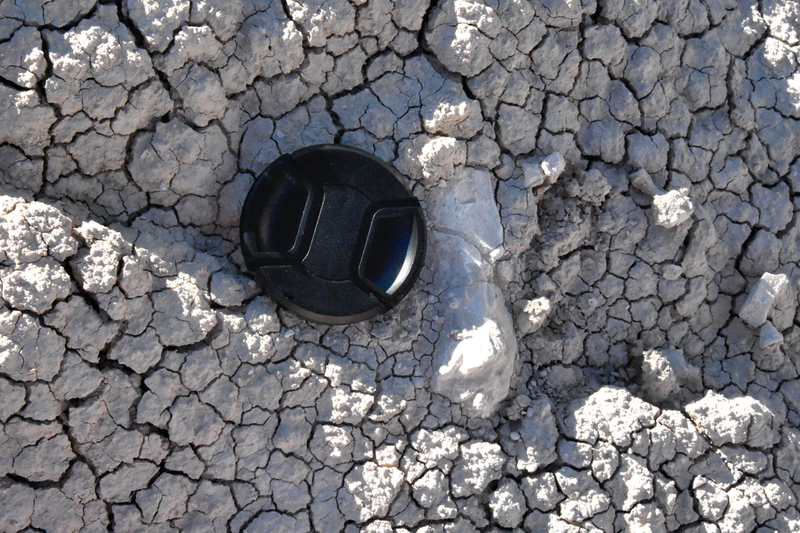 The badlands area is eroding at a very fast pace of about 1 inch per year. in a few decades this small hill will be gone. Photo: Joel Duff, June 2016. 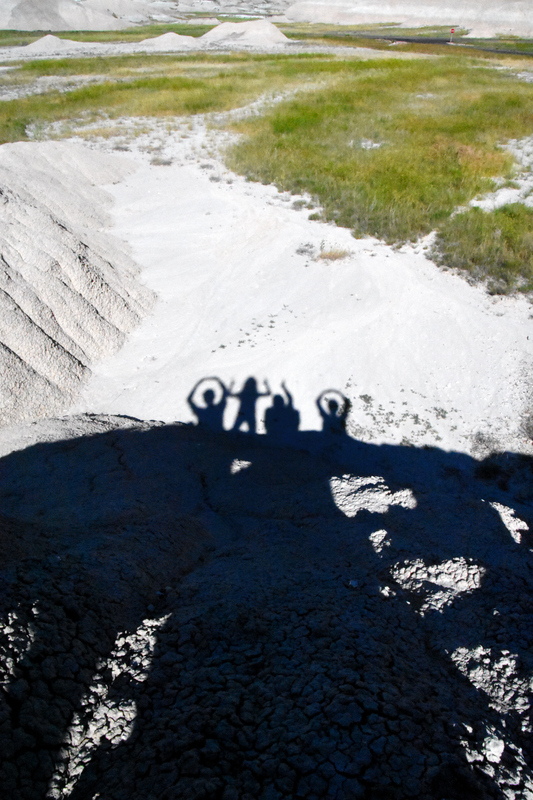 We bring a bit of Ohio to the Badlands. That’s me as the “I” with one hand up and the other hand holding the camera to take this picture. I’d love to visit an area with fossils just lying around like that. It would be amazing to pick up and touch something millions of years old. You wrote “…Eocene-aged sediments (34-27 million years). ” Should this not be Oligocene-aged? Yeah, your right. I thought I got that right from the National Parks service page but I must have mixed my numbers up. The fossils are from Eocene rock and so are older than I mentioned. I will make the change right now.